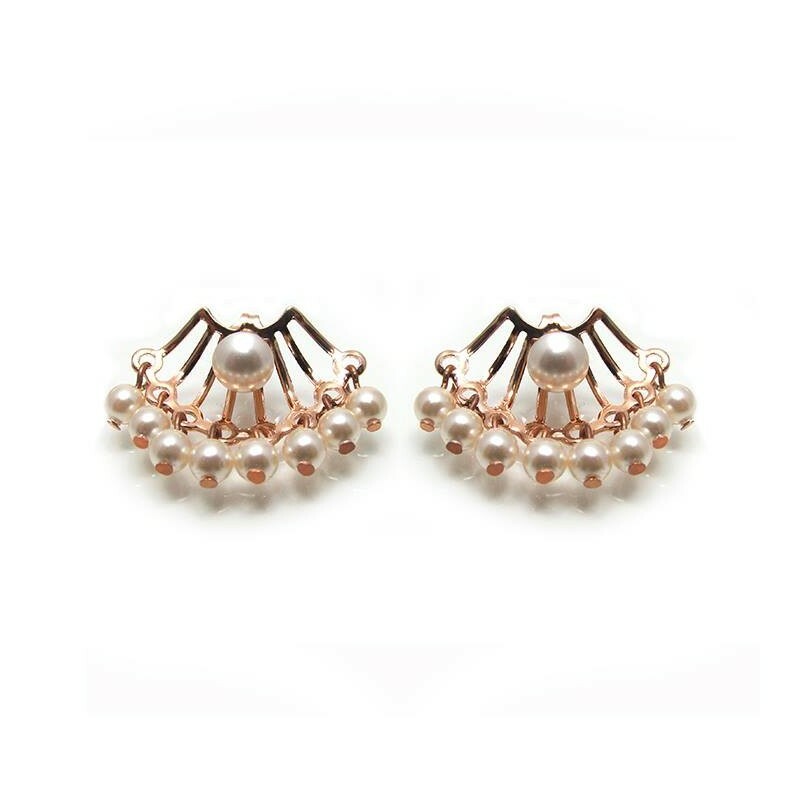 Stylish rose gold earrings, ear jacket - back to front design. 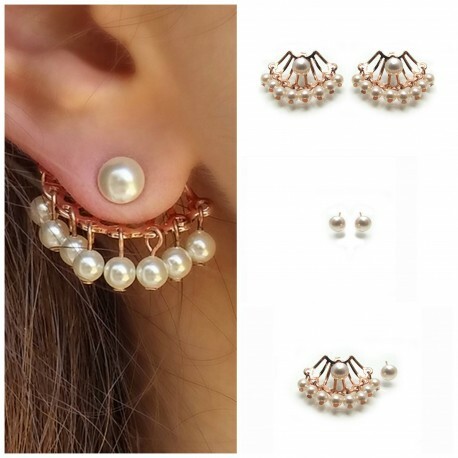 Interchange with mostly any earring stud 4-6 mm. 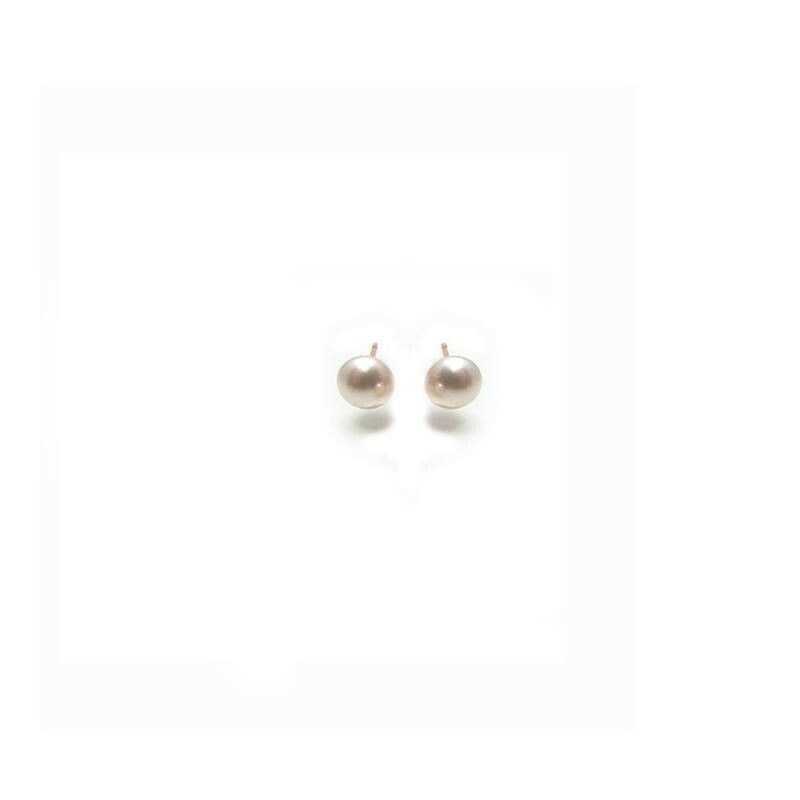 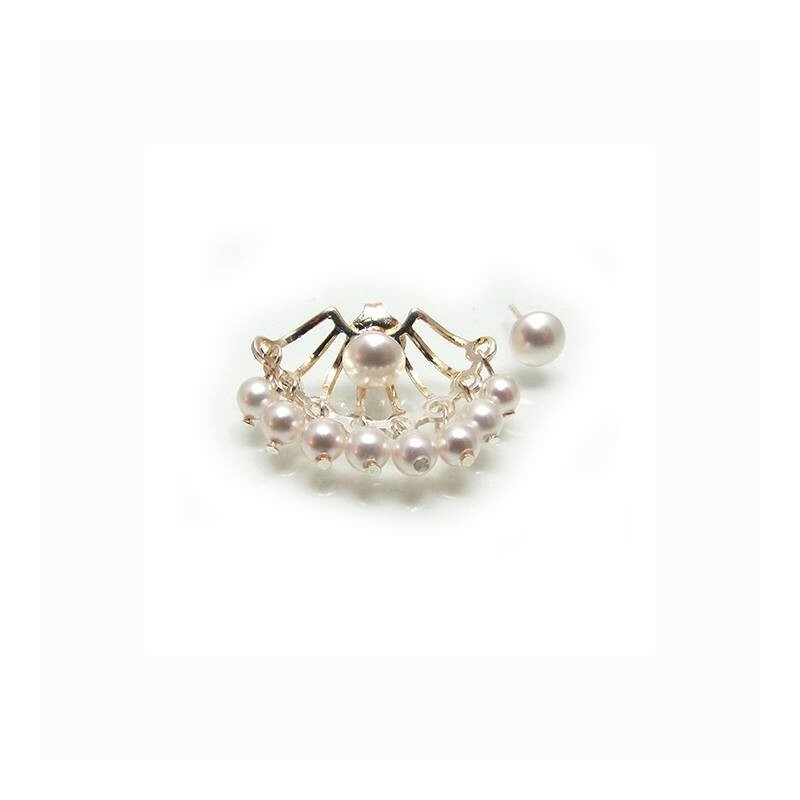 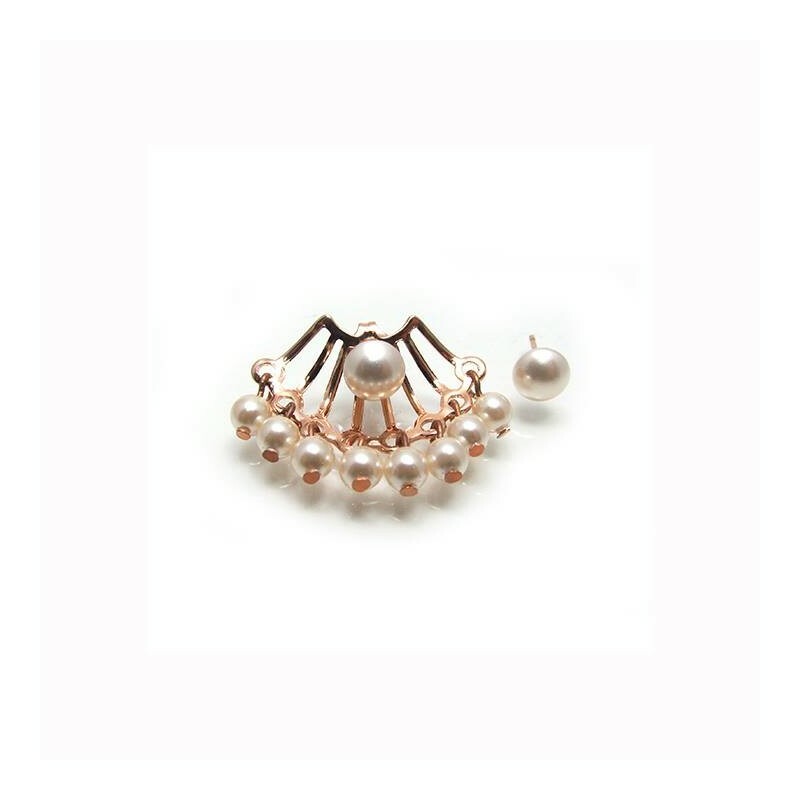 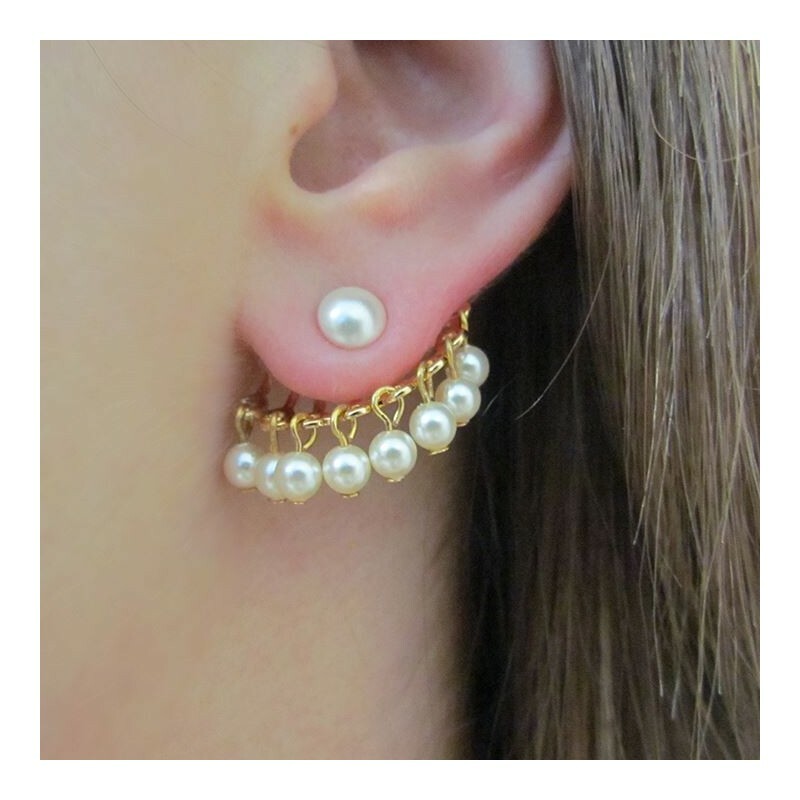 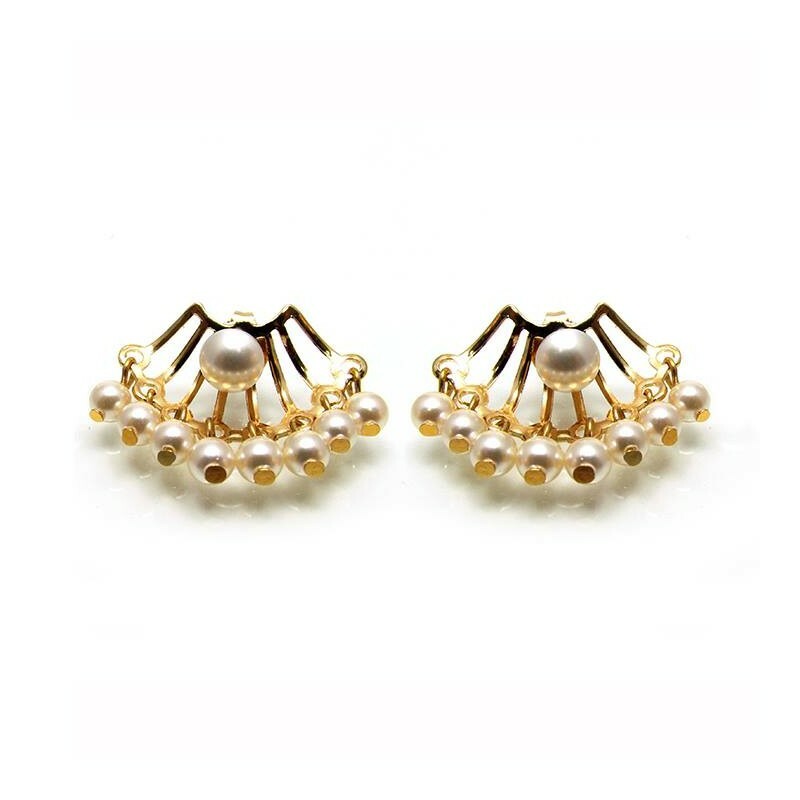 Versatile and trendy earrings design, combined with 8 genuine swarovski pearls. Suitable for brides, bridesmaid or even as an everyday accessory.